Insults are the best birthday gift anyone can ask for. What do you mean it’s not? Because that is the best gift I could ask for. You see, Jimmy Kimmel’s birthday was yesterday. 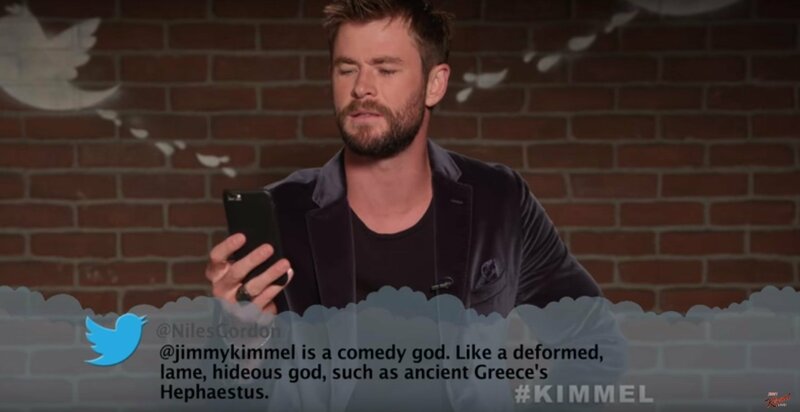 And his cast thought that rather than famous people reading mean tweets about themselves, they should read mean tweets about Jimmy Kimmel. Happy Birthday to Jimmy Kimmel indeed. 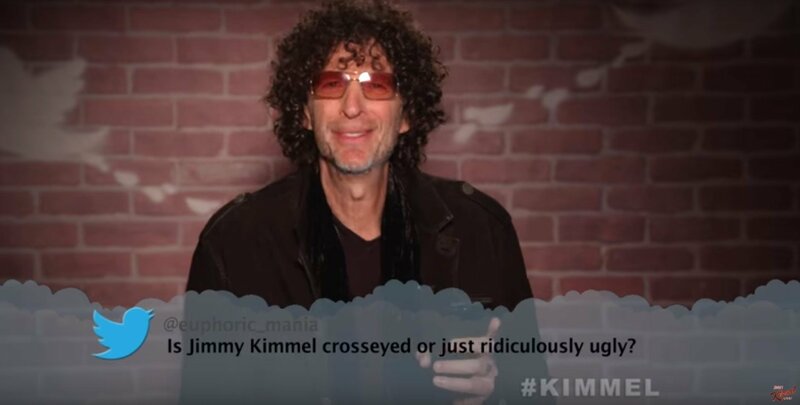 Many famous people read horrible albeit stupid mean tweets including Tracy Morgan, Will Ferrell, Amy Schumer, Stephen Colbert, and Jennifer Lawrence. He really is a special birthday boy. Is it just me? Or are people getting creative with their insults? I mean, it is quite scary! To put the nail in the coffin, Even Kim Kardashian was there. 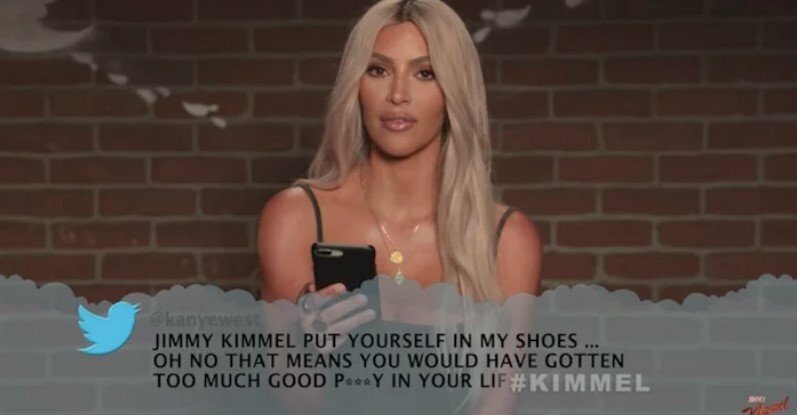 Yes, she did read the ‘mean’ tweet her husband had written in 2013 when Jimmy and Kanye had an Internet feud. Put yourself in my shoes…Oh no that means you would have gotten too much good pu**y in your life. Now that must have hurt. Jimmy Kimmel himself seems to be quite happy. Following is the full video. Chrissy Teigen asked parents to share the meanest things their kids have said to them. Twitter came through.